Japan's coast guard said it was the second time since Thursday that four Chinese ships had entered its waters. BEIJING, CHINA: Chinese coast guard vessels sailed near disputed islands claimed by Japan and China in the East China Sea on Monday, marking the second such incident in less than a week. 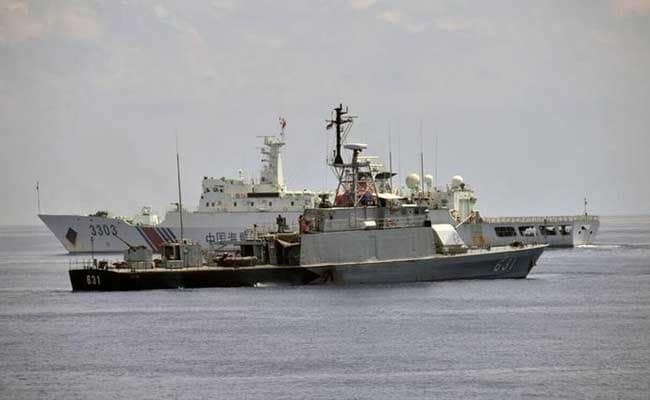 The four ships entered the waters surrounding the island chain, controlled by Japan and known as Senkaku in Japanese and Diaoyu in China, at around 10:00 am (0100 GMT) and were moving in a southwest direction, according to the Japanese coast guard. An online statement from China's State Oceanic Administration only said the four Chinese coast guard vessels were "patrolling in Chinese waters off the Diaoyu Islands." Japan has routinely complained that China is escalating regional tensions by regularly sending ships to the island chain despite repeated protests from Tokyo. The two countries have been locked in a long-running dispute over the islands, which are believed to harbour vast natural resources below their seabed, with China claiming them as its own. Beijing is also involved in maritime disputes in the South China Sea. It asserts sovereignty over most of the area despite rival partial claims by the Philippines, Brunei, Malaysia, Taiwan and Vietnam. A UN-backed tribunal last July ruled that Beijing's claims were invalid. The US Navy regularly conducts "freedom of navigation" operations in the South China Sea to challenge China's claims, angering Beijing.